I want to talk a bit about Pet Hybrids, we are starting to see so many :) First off Thank you KI I hope you decide to keep this feature as this is most definitely what the new pet system was lacking. 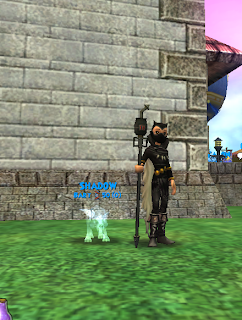 I want to Thank Pet Master and everyone for all the hard work they have put in his hybrid topic on central So far I have gotten 3 new hybrid which are simply wonderful, Ghost hound, Grove unicorn and what looks to be a frost beetle? hasn't hatched yet but got the picture ;) As days go by watch the Pet master blog "Wizard101propets" or topic on central Hybrid pets , I am sure he will have a complete list of all the hybrids soon enough. Level 48 hyrid pet I have still not luck with this but wanting to try the some of the wraith mixing I want to see if they are both schools or are they still only death . I did try a helephant and hydra and each of us got another one of our pets :( I figure this is because no hybrid was made yet. I saw posted a icy blue hydrid( mixed of a colossus and wraith) and a reddish brown wraith( wraith and hydra) these are found in DeathShard's topic on central level 48 Hybrids . 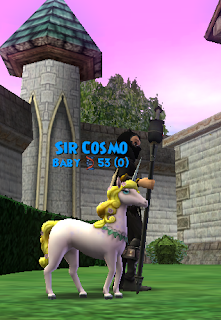 I hope to see more and more of these hybrids as days go by in wizard101 and want to thank KI for their wonderful hard work on this. let's talk about the Pet derby, have you tried it lately? I was having trouble with it before KI reset test but now oh yeah this is so much fun. My Fog unicorn ,ok let this be known I am not great at these types of things but i do like them. So far Lady Luna has only came in 3rd one time :) There is no bickering between opponents like in PvP ,don't get me wrong I like fun times in the old arena where it does not count and you are free to play how ever you want even if you wear a transmuted outfit, even central tournaments make everything simple and so much fun so people don't get that bickering but the pet derby I think is gonna be my favorite type of PvP.WOOT! You race most times against 3 other pets dodging obsticals, using Jumps, and causing your opponents to move lanes, slow and so many other things ;). All this fun and even pets dance at end if you win. until next time :) Happy hatching and racing. It was great testing all the new stuff with you and my friends. I got to work with so great people from central, and there now great friends also. MEOW!! !